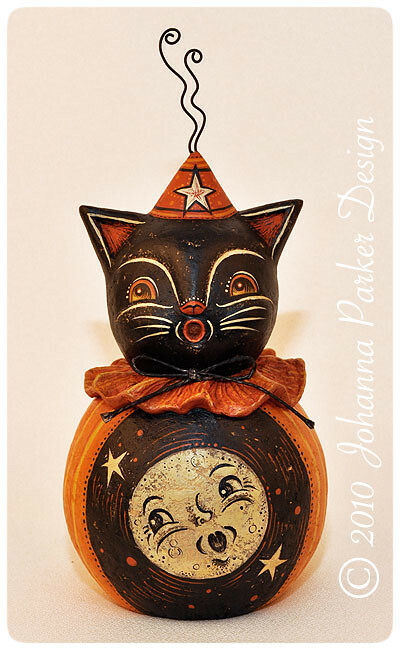 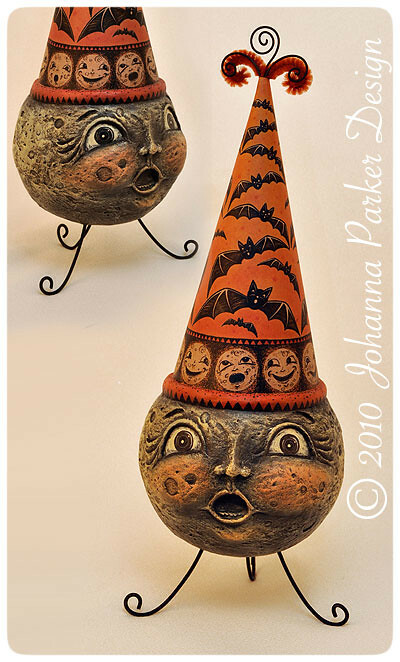 And here is "Fulluna," a whimsical hand sculpted and painted papier mache moon! 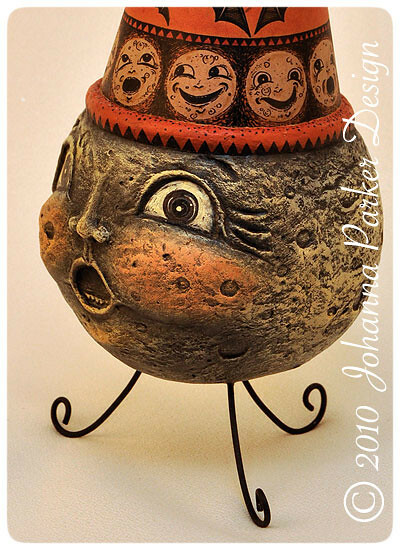 Fulluna is also featured on the EHAG Emporium this month. 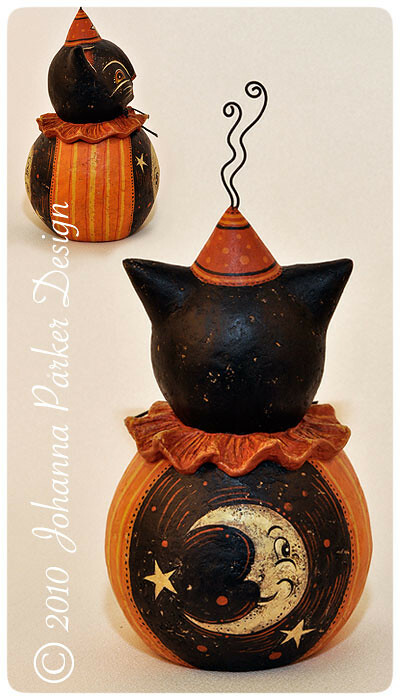 And..... . . . . . . . .
And let's not forget "MoonaLisa," a whimsical hand sculpted and painted papier mache cat on a ball character!